When we think about pregnancy, we think about a lot of things – bouncing babies, families, and the future. What we don’t always think about is dental care, even though dental care during pregnancy is important to both mother and child. The good news is that most routine treatment is perfectly safe during pregnancy. During the first trimester, however some procedures and medications should be avoided, so it is important that your Q1 dentist knows you are pregnant. Make sure your teeth and gums are healthy. Diseased gums are statistically associated with premature birth and low birth weight babies. Conversely, healthy gums reduce the transfer of decay-causing bacteria from you to your baby, which can lead to early childhood tooth decay. Avoid or treat vomiting and acid reflux that may accompany pregnancy. Pregnant women who experience morning sickness with vomiting and/or acid reflux are at high risk of tooth erosion. There are several ways to reduce this risk, including rinsing your mouth, chewing sugar free gum, smearing a bit of toothpaste over your teeth, and waiting 30 minutes before brushing after vomiting. 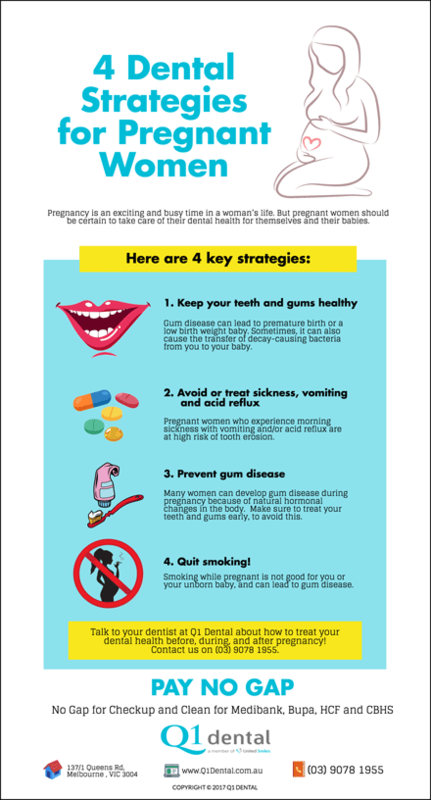 Hormonal changes can cause gum disease in pregnant women. Seek treatment of diseased gums to avoid danger. Some signs of gum disease include bad breath, red gums (instead of pink), swollen gums, and bleeding gums. Put down the tobacco! This shouldn’t be news to anyone, but pregnant women should cease using all tobacco products. Tobacco products not only affect pregnant women, but also their unborn children. The American Lung Association estimates that tobacco use doubles the likelihood of periodontitis! 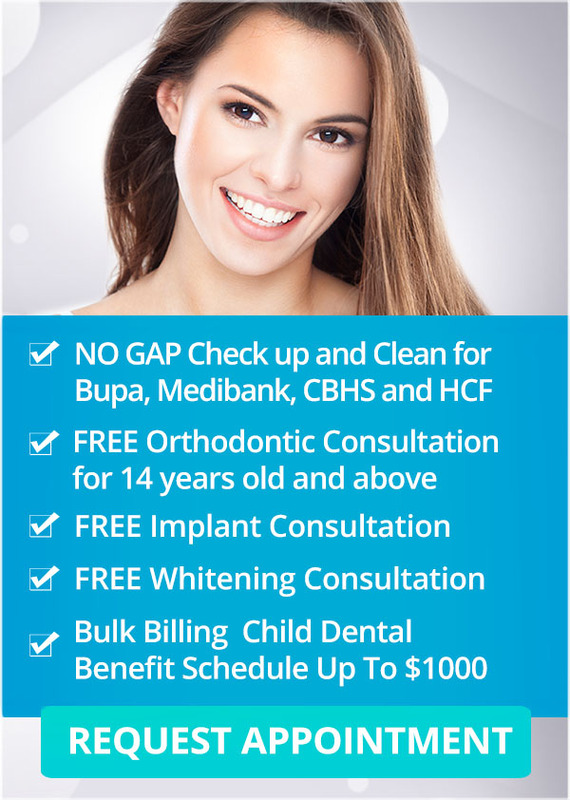 If you have any questions about your oral health or our dental services and special offers contact us at Q1 Dental on (03) 9078 1955 to book your appointment! Good News For Families: Child Dental Benefits Schedule Back For 2017!